Did you know having a desk job can be really bad for your health? Sitting at a desk all day can lead to all different kinds of serious health issues including diabetes, cardiovascular disease, muscular skeletal disorders, and even an increased risk of cancer. Consider a standing desk: Studies have shown that standing desks can significantly improve your health. One study showed that by reducing sitting time from a standard six hours to a shorter three hours, life expectancy increased by as much as two years. Standing instead of sitting can also improve posture, and reduce risks of both cancer and obesity. While you may need to ease into a standing desk, especially if you aren't used to using one, a standing desk that is set up properly should be a much better place for you to work for at least a portion of your workday. Incorporate walking into your workday: When you have a question for a co-worker, can you walk down the hall to his office instead of sending an email? Would standing or even walking meetings be an option for your workplace? The more opportunities you can build into your day where you have to get up and move around, the better for your health. Take scheduled hourly breaks: Every hour you sit at your desk working, schedule a five minute break where you get up and move around. Even a few minutes will get your muscles going and promote blood flow. 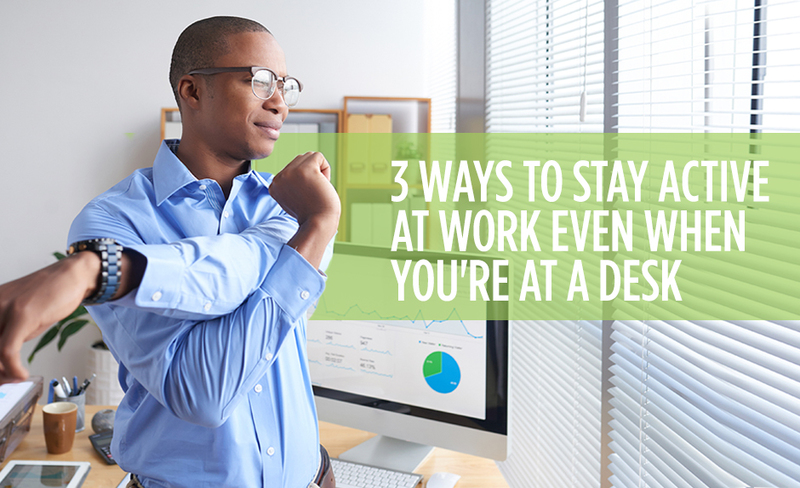 Since it's hard for you to concentrate for hours on end without a break, these brief interludes where you get up and walk around should actually end up improving your overall productivity. Eastridge Workforce Solutions can help you find work at a company that promotes wellness, and we’ll be happy to find ways to help you stay active on the job. Contact our staffing service today to find out more about how we can help you land a great job where you can improve your health.